Lack of any real content. Waste of money. 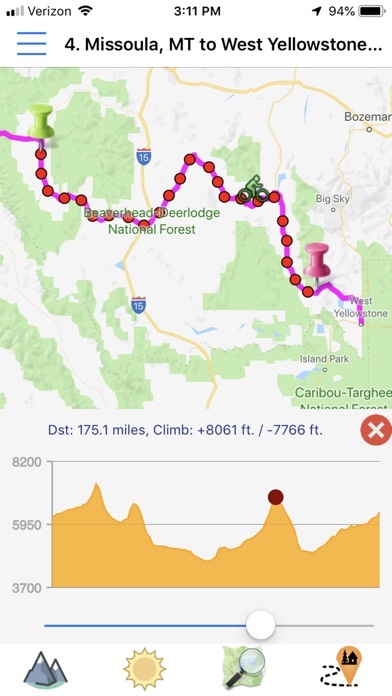 Purchased a map for the Utah Cliffs Route within this app and was given a purple line. 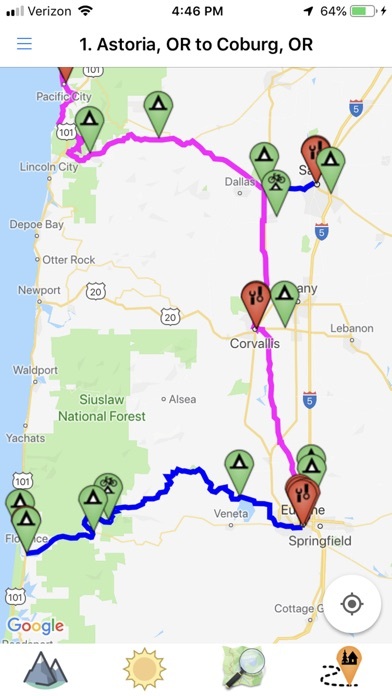 There’s no effective route description. 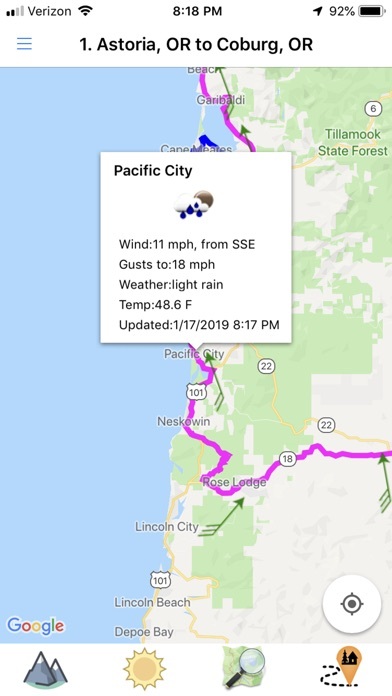 No road names, altitude change, previous known road conditions... $6 for a purple line. I’m going to have to match this line to something I can create on gmaps, spend a few hours, and may not even ride the correct route. Thanks for nothing. There doesn’t seem to be any intro guide or tips to get you started. And there’s no intuitive way to search for a place and get a good bicycle route there. Not sure what the point of this app is, other than compiling park loop maps. I can get those from parks. I’ve had this app downloaded for about 15 minutes- I’m still trying to figure out how to use it. But the box “please rate this app” has popped up about 10 time already. I have no basis yet to rate this app. But basically I’m just annoyed. Can you PLEASE let me use it for a little while so I can figure out if I like it? 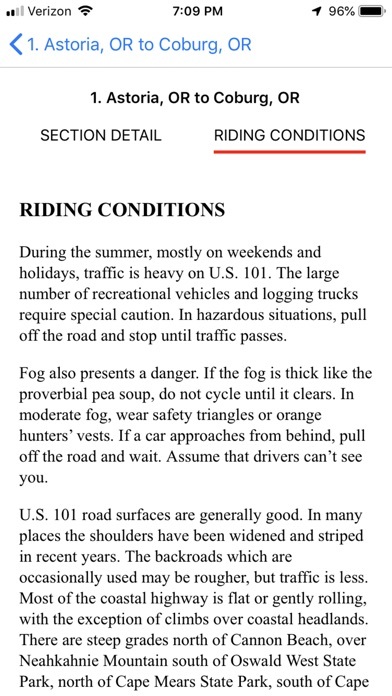 Where did riding conditions go? Been using for the last month. Like the app, but suddenly lost riding conditions. Fortunately I read a head a little and a local reminded us of a section of 94 to stay off of. Also, elevation is way off on some routes which has made planning a little difficult. Will send examples later. The data is the only reason you might want to get this app, and then you’d quickly realize that the data is the only useful thing. 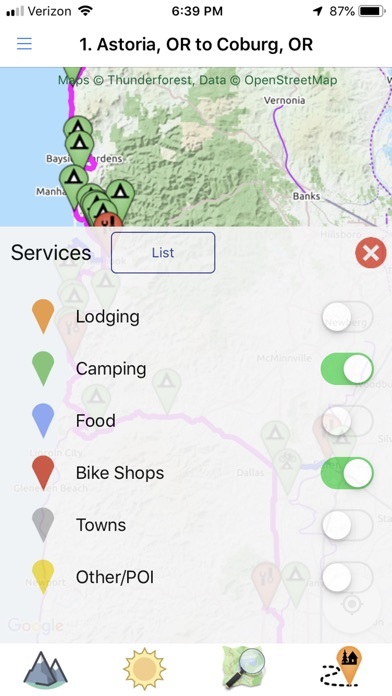 The app itself is extremely basic, to the point where you will definitely need another tool, and then you might as well have just bought the gpx files from the website. You can’t change map tiles. Google’s street maps and that’s it. 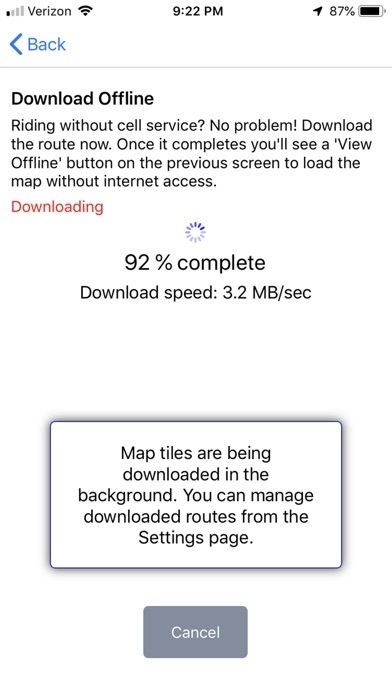 You can’t customize the route at all or export it for use in another app. You can’t add your own data. One nice feature I guess is the elevation profile viewer, but that’s not worth buying this app for alone, and there’s no real reason otherwise to buy it over just the data. 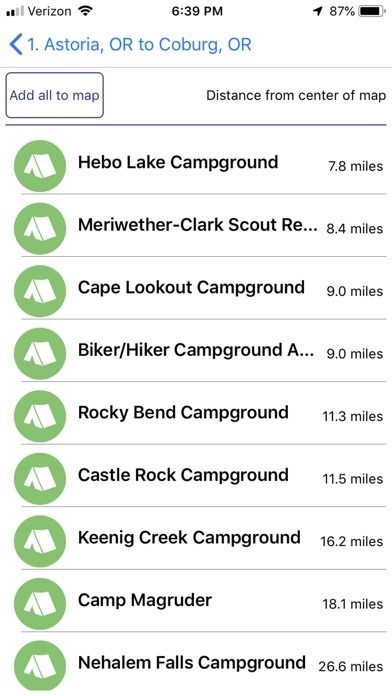 Additionally, and why I’m here, the app begged me several times in the first few minutes of using it (I hadn’t even found the map catalog yet) for an App Store review. Knock that garbage off. TL;DR just buy the data and use literally any other mapping tool you might want to use. It’s the same price. 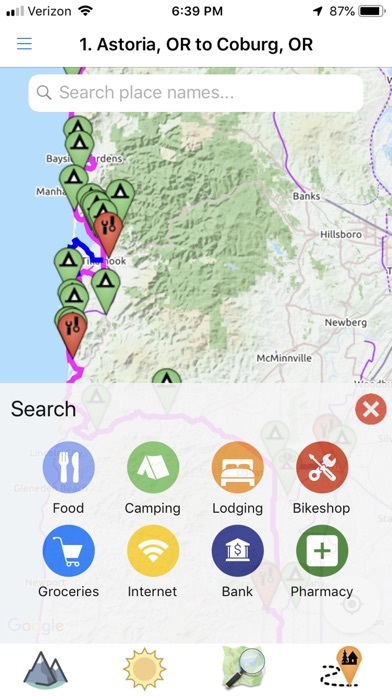 I agree with others that this app needs to incorporate Google’s biking layer to fully understand the route and the nearby options. Turn by turn directions are also a must. Finally, I live near a former campground in Northern Michigan that was sold and now a developer is putting up a BnB, but there was no way that I could see to pass this information along to ACA or to fellow travelers. A note-taking function might also be helpful for me incorporate trail knowledge learned along the way. On the plus side, I like being able see the route, the elevation, and points of interest. How many times do I need to buy the same map? 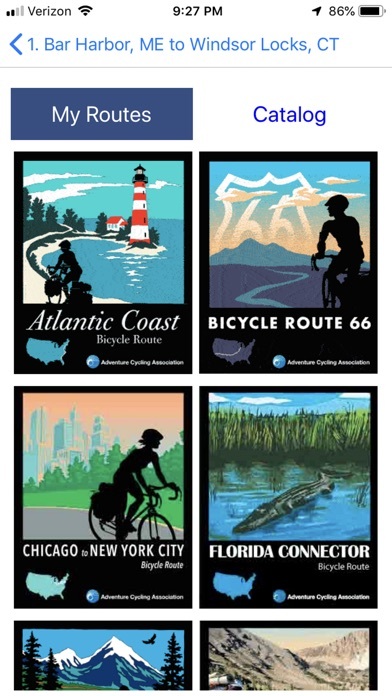 I bought most segments of Rte66 in the other Rte 66 App from Adventure Cycle. What is different about this app?